I'm a Doctor Who fan and yesterday (Aug. 23) was a very exciting day with the Series 8 premiere. YAY! But, alas, I'm in the U.S. and do not have BBC America so I have to wait for it on Hulu. Despite the wait, I felt it necessary for my nails to reflect my excitement. 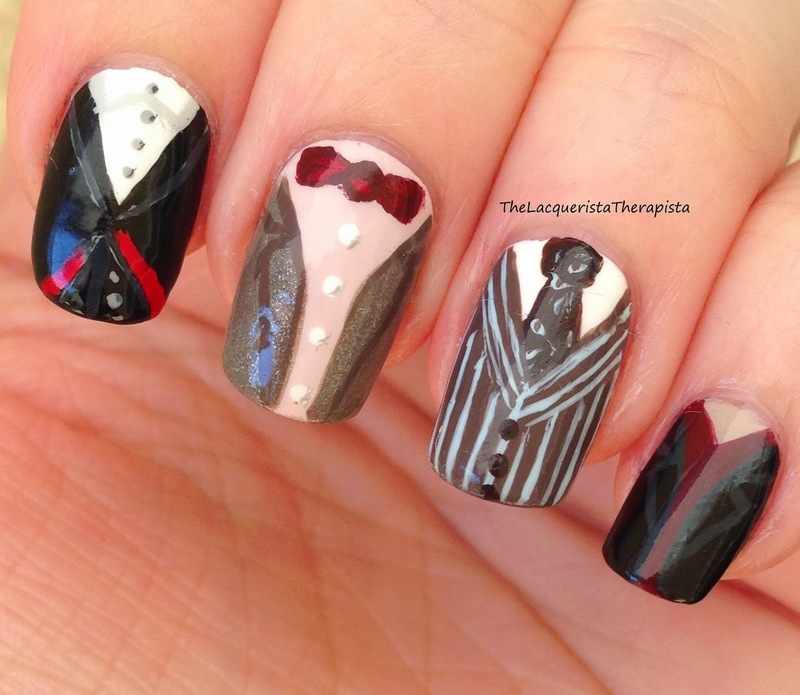 This is most certainly my most detailed mani ever and it was so much fun to do! Left hand: All four doctors from the new series (from left 12th: Capaldi, 11th: Smith, 10th: Tennant; 9th: Eccleston) and the TARDIS. 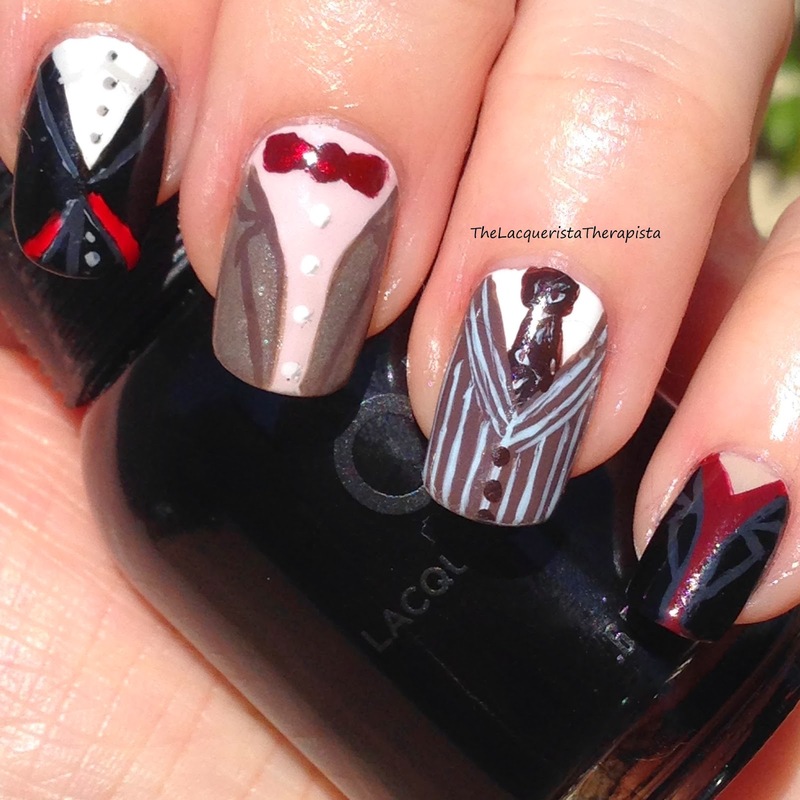 Is it weird I have the chests of 4 different men on my nails? 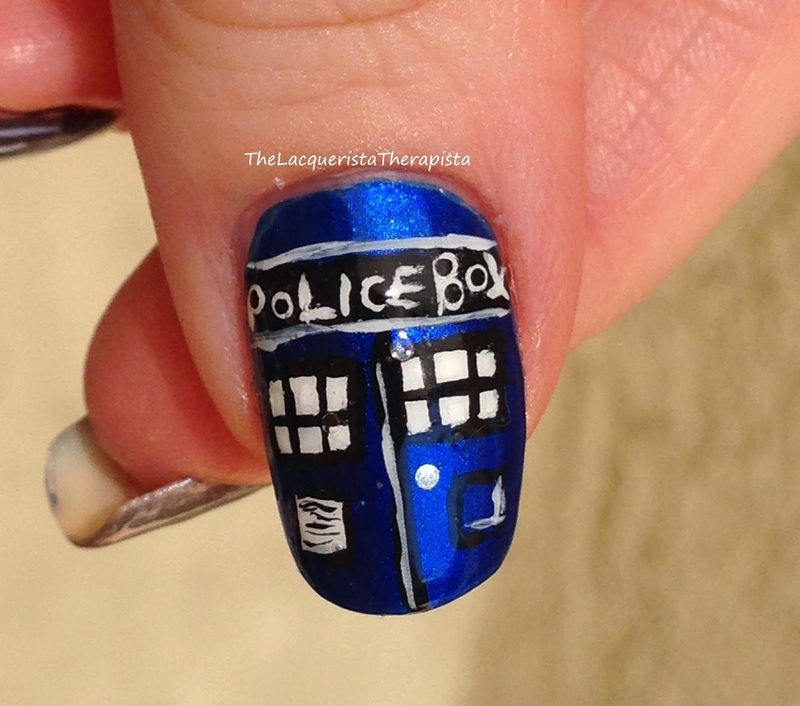 I am especially proud of the 'Police Box' lettering on the TARDIS. It's not perfect, but it's legible! Success. 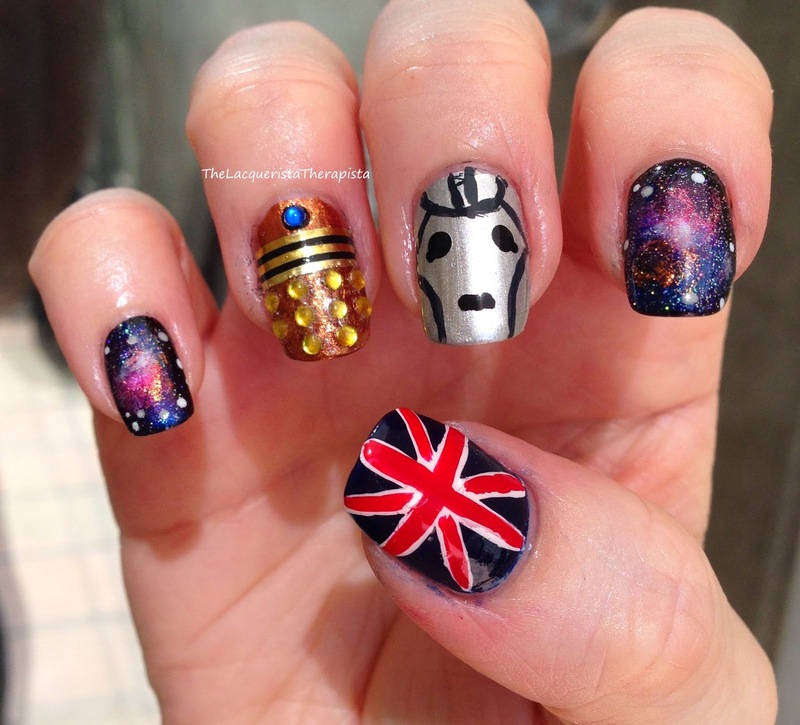 Right hand: Galaxy nails, a Dalek, a Cyberman, and the Union Jack. Painted with my non-dominant hand. My left hand skills seem to be improving, but it's still so awkward. 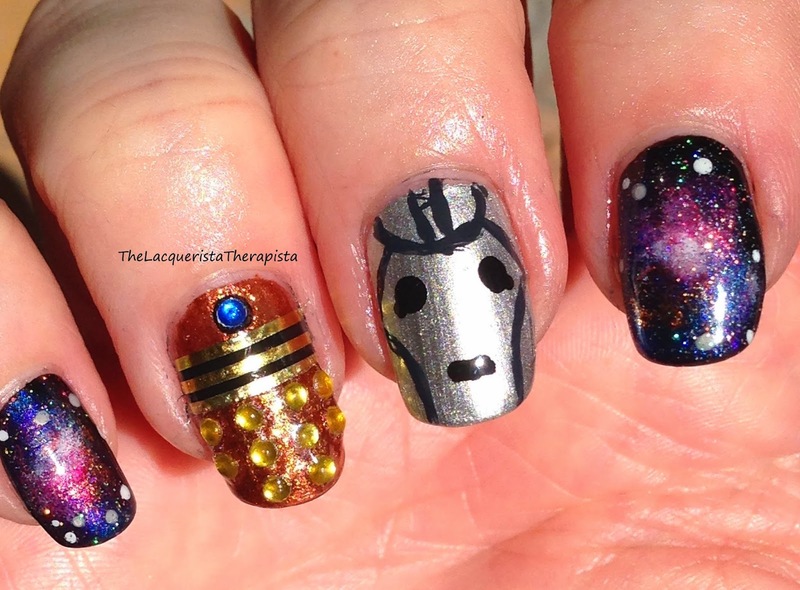 The Cyberman isn't my favorite, but it'll do. 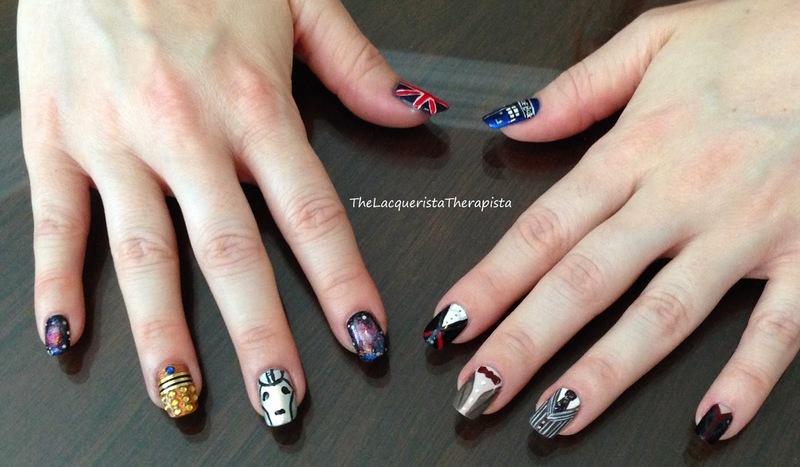 I love how the Dalek turned out. Exterminate! So this took me an obscene amount of time to complete...cough...5 hours...cough. The doctors took an especially long time as I wasn't completely sure how I was going to accomplish them until I actually started. I love how they turned out. The 5 hours was totally worth it in the end and now I can wave my nerd flag high and proud. I used 21 different polishes and black and white acrylic paint, also striping tape and rhinestones to complete this mani. I don't ever want to take it off and I can't stop staring at them. Now to watch some more Doctor Who! Thanks for reading! 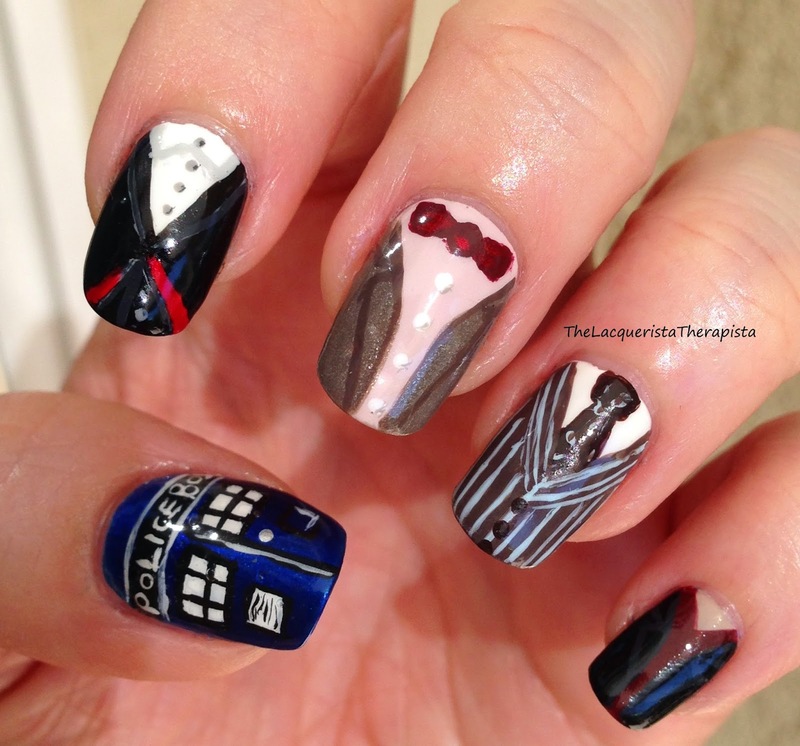 Anyone else do Doctor Who nails for the premiere? I'd love to see!